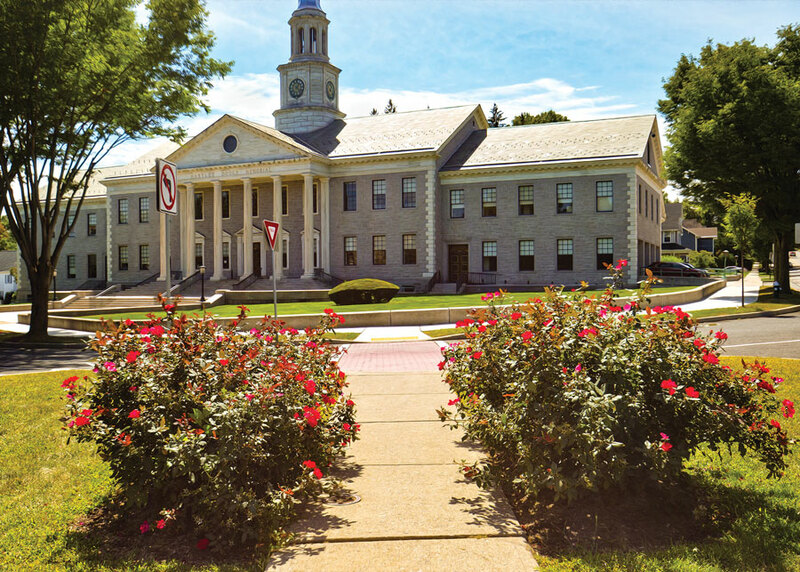 The memorial, Madison’s stately 1935 borough hall, donated by Geraldine Rockefeller Dodge in memory of her only son, is across Green Street from a pocket park maintained by the garden club, a quiet sanctuary of paths and benches surrounding a plot of hybrid tea roses. Other beautiful red roses grow in from of the “Hartley Dodge,” as people call the borough hall, and between the railroad tracks and the Madison Station, also built by Geraldine Dodge. The roses themselves are a kind of memorial to Madison’s history as The Rose City. Madison, Chatham, Morristown and surrounding areas became popular with affluent New York City businessmen as the Industrial Revolution sent steam trains west across New Jersey. The industrial innovations created wealth for industrialists, and the reliance on shipping by rail evolved into passenger train service to the cooler, less humid towns in the hills of New Jersey. This prosperity enabled people to buy large tracts of land not available closer in to the city. The open space and slightly higher altitude meant cooler summers and the opportunity to landscape large lawns. It wasn’t known as The Rose City until much later, but roses came to Madison courtesy of a teenaged girl forced to grow up too quickly. Sarah Gibbons lost her mother at age nineteen and was thrust into the role of hostess of her father’s house. She developed a passion for roses and researched rose varieties diligently before ordering a long list of rose seeds from New York City. That was in 1848. He didn’t give a date, but Erol Sezer, a Bulgarian native living in Turkey, sent an email to the Madison Historical Society a few years ago, saying he believes his family brought the first roses to Madison during the Nineteenth Century. So the exact timing of the first roses in Madison isn’t clear, but the growth of rose growing certainly is. The historical society has a small suite of offices in the rear of the Public Library. A number of local history books focus on the rose growers, and there are clips from the local daily and weekly newspapers dating back to the 19th Century. One of those books is Frank J. Esposito’s The Madison Heritage Trail, which points out that the newly created wealth also increased the demand for consumer goods, including roses. By 1883, the name Millionaire’s Express was given to the locomotive that pulled a line of coaches full of the upper crust westward on the Delaware, Lackawanna and Western line. Not all of the millionaires grew roses, but nearly all were famous names. Hamilton and Florence Vanderbilt Twombly, whose combined first names gave Florham Park its name, lived in the house that is now the administration building at Fairleigh Dickinson University’s main campus. Other wealthy industrialists like Robert F. Ballentine, president of P. Ballentine and Sons Brewery; Marcellus Hartley Dodge, chair of Remington Arms Co., and Daniel Willis James of Phelps Dodge & Co., settled in Madison. Others, like Charles Scribner, president of Charles Scribner & Sons publishing house, and Arthur Burdett Frost, a prominent illustrator, chose nearby Chatham Township. Clement Clark Moore, famous for “A Visit from Saint Nicholas,” lived in Morris Township and the illustrator of that work, Thomas Nast, in Morristown. Roses were at first a hobby of the very rich, but these businessmen soon learned there was a profit to be made. Some of the workers the property owners hired came from the British Isles and eventually branched out with their own rose ranges, as they were called. The Shawyer is one of many rose varieties developed in Madison. The first greenhouses were constructed by A. M. Treadwell in 1856, and over the next ten years some of his neighbors also built them. By 1865 roses were being shipped in limited quantities to New York City, but T. J. Slaughter is credited as the first land owner to sense the commercial value of roses. In 1877, his family bought an estate that already had abundant plants, and he added five greenhouses for strictly commercial purposes. Slaughter hired John N. May, a leading rose authority from England to manage the rose growing operation. In March of 1888, T. J. Slaughter’s rose range was expected to market a half million buds with revenue expected to be $1.78 per plant. The American Beauty rose (featured prominently in the Academy Award winning movie of the same name) fetched $5.09 per plant. And as the supply coming out of Madison increased, the prices remained high. During its early decades as “The Rose City,” Madison produced more and more plants due to continuing improvements in production methods, greater experimentation and the development of new ideas for securing markets. The greenhouses were designed with benches holding five to six inches of soil created by mixing composted cow manure and surface soil, which was previously exposed to frost action. In the early days, maintaining the correct temperature in the greenhouses was difficult. In 1886, Fred Bardon, the editor of the Eagle estimated the cost of running the greenhouses at nearly $100,000 in initial expenses and $55,000 in annual operating costs. It was expensive to supply the quantity of water that the roses required. The most difficult element was controlling the humidity. A watchman needed to be on site to adjust conditions inside to match the outside. During Northern New Jersey winters, windy, cold weather created the potential for quick changes in the interior temperature, Bardon wrote. While the nearby train remained the most common way to ship roses, in 1939, Robert Nichols began shipping by air cargo. He packed roses for both train and plane in four-foot long, ten-inch high cartons of five hundred roses each. Nichols was an innovator who also developed a meter for measuring moisture in the soil as well as an automated watering system. He came by his innovating spirit naturally. He was a son-in-law of Joseph F. Ruzicka, who bought the Slaughter greenhouses in 1908. It was at Ruzicka’s that twelve miles of steam pipes were turned into planting tables for 165,000 rose bushes. More than technological innovation came out of Madison. 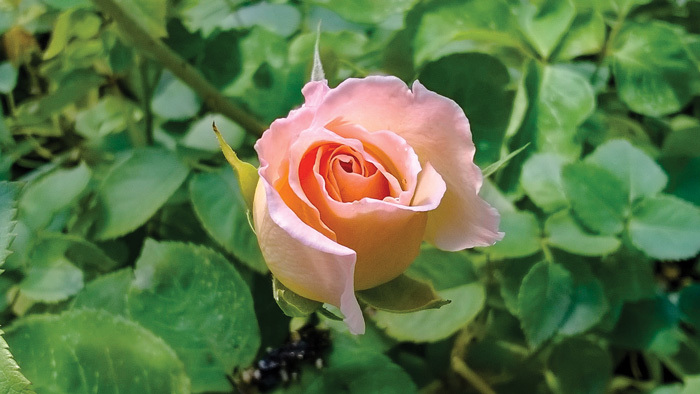 Among the rose varieties developed there are Vanity Fair, Copper Luster, Shawyer, Totty Red, Matchless, Kathleen Nash, Little Princess and Spellbound. The 1930 patent law that made it legal to patent a variety of plant was beneficial to these Madison growers who were developing new varieties. Rose growing remained strong for decades. The peak year was 1950 when one million plants were growing in and around Madison. It couldn’t last forever, however. Higher land prices resulted from more people moving to the suburbs, but the death knell came from the Andean Trade Preference Act of 1991, according to Art Heyl, the last of the Chatham Township growers. Prior to 1991, the majority of roses sold in the US were grown domestically, but the federal government started encouraging growers in South America to plant other crops besides coca and the lower costs in those countries killed the market for domestic flowers. And, Heyl noted, roses should not ever be shipped more than seventy miles from where they are grown to avoid black spot and other problems. Paths of green, fields of gold! Farmstead Arts, in Basking Ridge, is a vibrant arts center and serves as a model for adaptive reuse of an historic treasure. 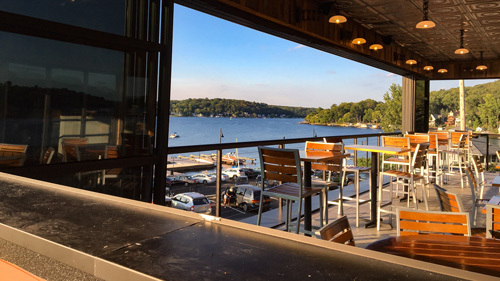 Good food and comfortable drink overlooking Lake Hopatcong featuring innovative and seasonal specials. Join us for happy hour Thursday & Friday from 5-8pm downstairs at The Big Fish Lounge. Just off the old, now-vanished, Ledgewood Circle, a stone's throw from the mall, the Drakesville Historic Park pays tribute to Morris County's pedigree of innovative pioneers.